Clearly, multiple cards with an outstanding balance is not a death knell to your credit rating many people assume it is. It is important to note however that carrying too much on your credit cards is detrimental to your credit rating. Here’s why, and what you can do to game the system to get a quick – and lasting – boost to your credit score. This is the amount of debt you owe divided by the total amount you can borrow on the card (known as the credit limit). The lower your utilization ratio, the better and anything over 30% can ding your credit score. Incidentally, I know a lot of people who never use credit cards and think that it helps their score. It doesn’t. Not using their credit cards is actually hurting their score. They have no history irresponsible credit card use, but they also have no history of responsible credit use. They have a utilization ratio of 0%, and they are a complete mystery to credit agencies. So, you want to stay above 0 and below 30%. It turns out that the sweet spot here that will raise your score the most is between 0-10%. Slice, dice and repackage your spending. Common advice for keeping your credit score in good shape is to charge less than 30% of your available balance, and pay that off every month. 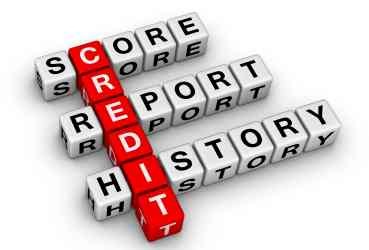 This helps build the history of responsible credit use that lenders are looking for, but there’s a faster way to boost your credit score. Remember how the average consumer with a ‘very good credit score” has 3 credit cards? Not only is that not an automatic hit to your credit score, it can also be the means with which you can amp up your credit score quickly. Let’s say you typically charge $1,000 a month on your favorite card and pay it off every month, when your statement comes due. This card has a limit of $5,000. This puts your almighty utilization ratio at 20% (1,000 / 5,000). Not bad. You’re well under the 30% danger zone, but you could do better. NOTE: You could spend even less and decrease your utilization ratio, but this tip is really for people who cannot reduce their spending. I myself have gone as low as I would like on my living expenses, and prefer to charge as much of those necessary expenses as possible to receive maximum rewards (cash back) from my credit card company. Now let’s say for the sake of example that you have 2 other credit cards that also have $5,000 credit limits. If you split that $1,000 per month in charges among the 3 cards more or less evenly ($300 on one, $350 on the other 2) then you end up with utilization ratios of 6%, 7% and 7% or a total of (drum roll please)….. 20%. But wait, what happened? I thought this was supposed to improve our credit score, but it didn’t change the magic ratio. It’s true that this amounts to little more than a mathematical shell game in terms of the utilization ratio – all we did is split the total up and move the numbers around – but the reason this boosts your credit score is not because of a lower ratio, but because you now have 3 lenders reporting your responsible financial behavior to the credit bureaus instead of just 1. To maximize your credit worthiness, you need a long credit history and a low utilization rate. To get the absolute best utilization ratio, pay your credit card balance off in full before the statement’s closing date – not the due date. Since credit card companies typically only report the outstanding balance on the statement in any given month, they will be reporting $0 – given you a 0% utilization ratio. But a 0% utilization ratio is bad too, right? Right – for the long term. The key is to only do this in the month or two leading up to when you apply for the loan. Doing this routinely will make it look like you never use your credit cards at all, and diminish your overall history of credit worthiness. Using these credit tweaks should help you get the most favorable interest rate when applying for a new loan, or refinancing an old one. The rest is up to you. This was a guest post by Joe Morgan. Joe is a personal finance blogger and owner of Simple Debt-Free Finance, where he writes about insurance, investing and avoiding debt (among other topics). He lives on a single income with his wife, 3 kids and a cat named Boo. He is also quite fond of Beethoven. I think you are forgetting to include the total credit limit from the three cards in your calculations. Instead of having $1,000 out of $5,000 (20%), you have a total available credit of $15,000 on the three cards making your utilization ratio 1/15 or 6.7%. You would average the three ratios, not add them up to get back to 20. It is definitely better to have 3 cards with $5,000 limit each but if two of the cards were empty, your total available credit would still be the same and you wouldn’t have to worry about remembering to make three different payments every month. But you make a good point about having three different companies reporting a solid, regular payment history. Without having the formulas the credit bureaus use, it’s impossible to know how much of a difference that makes. I know for me, I’d rather make one payment and not worry that one of the companies would “lose” a payment and then get dinged for late charges. As you said, without the formulas the credit bureaus use it’s impossible to know for sure how they treat multiple lines of credit. Do they average them? Do they add each utilization ratio up? Do they lump all available credit into one sum and all liabilities into another and subtract the two? In the end, I opted to go with the most conservative to err on the side of caution. I also whole heartedly agree with you that one payment is simpler and less prone to causing a financial headache. That’s why I would only consider this method to quickly rebuild my credit. Once I had a good credit score, I would switch to simplicity and only use a single card. Thanks for reading so closely, and thanks for weighing in! I also hear paying your bills AHEAD of time helps improve your credit score as well. Very true. It is also important to leave this card on your credit report once you don’t plan on using it any more rather than removing it. People always think they should take the inactive cards off of their report, but the truth of the matter is if you leave them there your utilization score will be better because you will have more revolving credit. Eventually the inactive cards will fall off of the report on their own. At first I thought this would be yet another regurgitated piece on what makes up your credit history but the last part with the bonus tips was very good – with advice not often written up in personal finance blogs. Good for you. One point I would clarify though – it will not hurt your score to use and pay your balances down to zero before the statement date – you won’t look like you have no utilization since the card company reports date of last activity. There’s no reason to pay your card off early unless you’re bumping up against a self-imposed limit of 30% (or whatever) of your available credit. And yes, there’s no reason why you can’t ask for a higher limit. If you do that, it makes it that much easier to look good with the charges you do put on your card. Get as much credit on your cards as you can, even if you don’t plan to use it. You don’t get penalized for having high credit limits, and these days banks are happy to give out credit to customers who reliably pay on time. That credit increase decision may even get reported as a positive for you. The important thing is to pay your cards off each month before you get charged interest. That gets expensive real fast. You can probably set up automatic bill-pay at your bank if you’re prone to forget. Personally, I have my computer remind me that it’s the end of the month and time to pay my Visa and other bills. One last thing. Some companies prefer debit cards or cash to credit cards. You may get a better price on what you want to buy if it’s a cash deal, so don’t automatically reach for the credit card even if you get points and are trying to build your credit. Figure out how much the credit is costing you first.